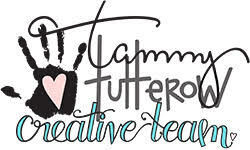 As soon as I saw this stamp by Tammy Tutterow and Spellbinders, I knew it had to come home with me. I saw it first when we were getting sneak peeks from January CHA, and it is just now beginning to show up in stores, so it was a long wait, but well worth it! 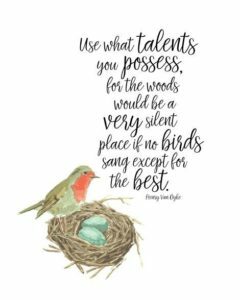 This first stamping will stay in my craft room, up on a shelf, so I see it every day - just love the sentiment! For its first stamping I used my Mini Misti to get a good dark impression on watercolor paper, which can be a problem without it. I must admit that I didn't think I needed this amazing tool, but I was wrong! 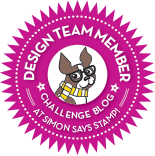 I'm thrilled now to have it, and use it every time I stamp! Then I just chose some Aqua Markers in pinks, purples, green, and yellow and colored in the image, adding water to spread the colors as I went. When everything had dried, I die-cut a scalloped pinpoint panel, and then embellished with sequins for a bit of sparkle. A very simple design, and lots of fun to color! 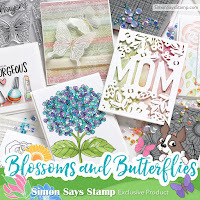 This particular stamp is sold out right now at Simon, but Tammy has several others that are just as pretty, if you're interested. Thanks for stopping by! My blog will get quiet here now for a few days, as my Mom and sister come for a visit over the 3-day weekend. I'll see you next week - enjoy the holiday! It's your favorite Anything Goes this week! The design team are all playing with Technique Tuesday products and if you have any we'd love to see what you make with them, too! I chose one of Technique Tuesday's Greenhouse Society stamp sets. This series features lovely botanicals, and I ran with that idea, making a botanical notecard. I was so enthralled with Karolyn's velveteen stamping here, that I went the same route, using a very old Hero Arts ditzy floral stamp for my pattern. This is a technique invented by Shari Carroll when she was a Hero Arts artist; basically you stamp a pattern in white pigment ink on white cardstock, and when it's dry, overstamp your designs.....the white pattern will float upwards and be subtly visible through the overstamped colors. Still playing with some new toys, I made a nostalgic lavender and lace card for today. I've always been a sucker for doilies, and so when I saw this embossing folder, it jumped into my cart! This wildflower die is just 1 of 7 different designs in this set - I know I'll get lots of use from it! 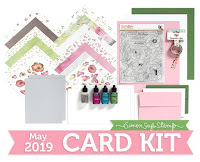 supplies: white, orange, and black cardstock, MFT Flashy Flowers stamps and dies, MFT Hello die, several inks from the Flashy Florals card kit, Mini Misti, a Hero Arts striped stamp, sequins to match. Here are the colors - I chose to accent the orange! I really love the large size of these stamps and dies! Paired with my new Mini Misti, this card was a joy to make! Thanks for stopping by! I got some new goodies to play with and I'm combining a couple of them to enter the current Share Joy challenge. I think Taylored Expressions makes some of the nicest embossing folders, and this Rosy Posey one has been on my list for awhile, but always sold out. So last week when I saw it was back in stock, I scooped it up! 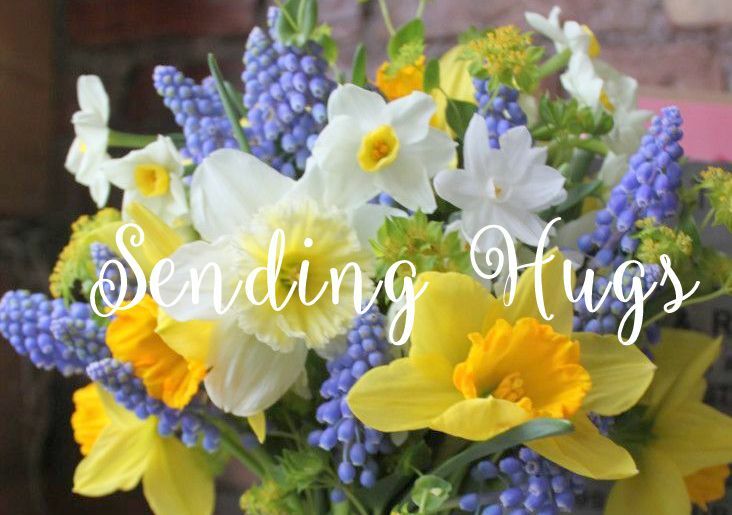 After a dreary day yesterday of showers, it's a beautiful spring Sunday here! I hope you're getting some of the same! I have 2 cards made from Simon's June Card Kit. This is a simple design, highlighting this lovely sentiment. There are several dps I could have used behind this, but I loved this bright, happy heart one! For the 2nd card, I stamped many of the designs from the Look for the Miracles stamp set on a panel of white cardstock, using my new mini Misti! (I have been having such trouble getting clean crisp impressions lately that I finally caved and got one - WHAT A DIFFERENCE!!). Then I cut the stamped panel in half, and then each half into 2 pieces, and remounted everything onto a Sunshine card base, adding some of the enamel dots in the kit in the flower centers. I used Orange Peel and Island Blue strips to highlight the dream diecut in black. So much to love - don't wait too long! As always after a break, I find it tough to get started again, so I chose this wonderful stamp and my favorite colors to ease back in. 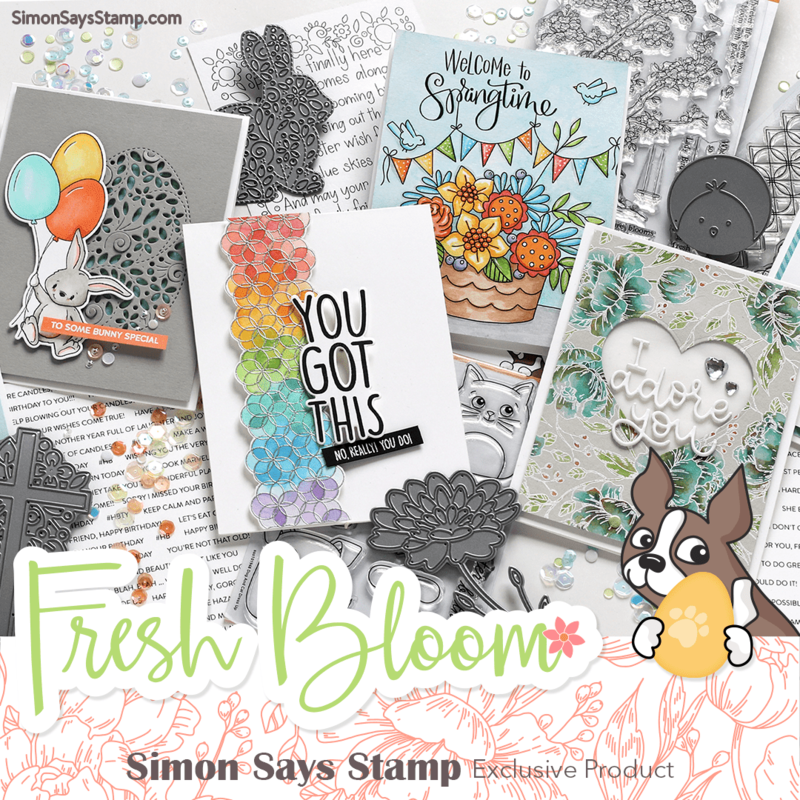 After embossing the image, I couldn't stamp a sentiment over it, but timing is everything - my mailman delivered the new Simon June Card Kit today, and I thought the sentiment die inside was the perfect solution! I think that ribbon is dreamy, so it works for me! Thanks, as always, for stopping by for a visit today! 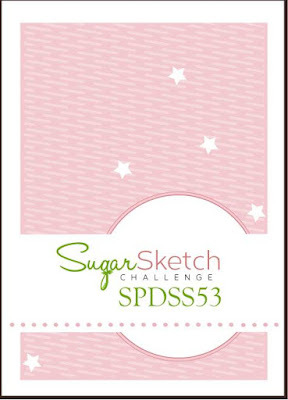 Here's a card for another of this month's sketches at Sugar Pea Designs. I love all the little stitched details here and there on my card! My flower colors were pulled from the plaid panel. 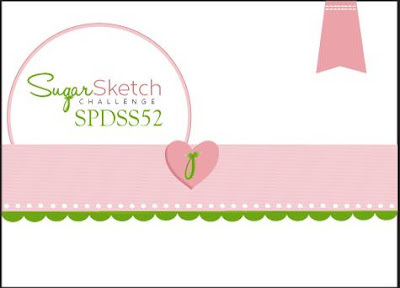 Be sure to visit Sugar Pea Designs to see all the creative takes on this sketch! 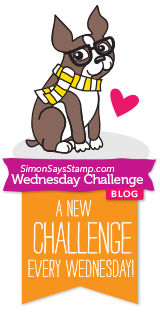 This week we have a really fun challenge! 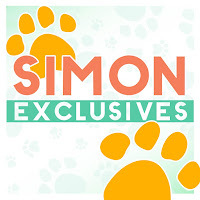 We're calling it Fun with Felt, and the Design Team are showcasing Simon's exclusive Spring Plush dies! I had the best time playing with my Plush Charmed Heart die set, and made 2 stuffed hearts, one in pastels, one in brights, and a gift card holder! 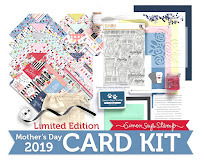 There are lots of other elements in this die set, too, a scalloped edge, a heart, a star, and a ruffled flower, plus a smaller heart flourish that you can use to add more stitching. I just couldn't stop playing with these dies, so here is one more that I left flat and adhered to a simple card front. 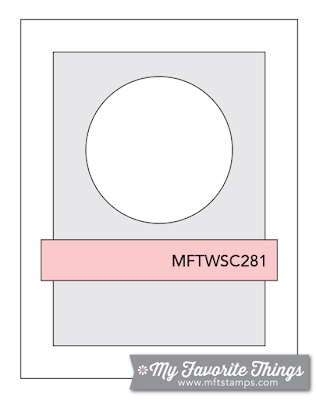 This makes a fun gift card holder, and shows a way to use that scalloped edge die in this set! This one used the scalloped die included in the set to make my pocket. I used some glossy accents to secure my sentiment to the pocket, and double-sided tape to secure the heart to the card. For 2 more examples of this set, please click HERE and HERE. And if you'd like to see some other ideas for using felt, I've started a Felt Pinterest Board. Hope you're having a great Sunday - it snowed here for a second this morning!! There are several selections of these Paintables watercolor paper pads; I chose this one because of this gorgeous basket of flowers. I trimmed it to fit an A2 card base, then watercolored it, and when dry, I attached my flowers and wood veneer leaves that had been sponged with twisted citron distress ink. I decided not to add any sentiment at this time - I couldn't bear to cover up anything! But wouldn't this make a lovely card for Mother's Day? Our theme this week is Stencil It! 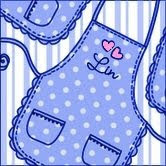 and my teamies and I are playing with Stencil Girl Products! I chose this gorgeous big fern stencil and had a ball playing with it! I got the idea to outline the first and darkest stencilling from the sample for this stencil. It's something I'd never done before, but I liked the results so much that I brought in more black accents in my sentiment and the butterfly, and also did a tiny black frame around the whole panel. I started by sponging a white panel in twisted citron distress ink. Then I overlayed the stencil and applied mowed lawn through it. While the stencil was still in place I stamped the script. After removing the stencil I splattered green and white and overstamped the whole panel in the envelope pattern with more mowed lawn distress ink. I thought the cork sentiment was a nice earthy touch to all the green. I have a fun card today, made for the Share Joy Challenge for this week! They always give us a choice of 2 challenges - I chose the colors. I doubled up the flowers, using both colors on each flower, gluing down only the centers of the 2nd layers, and raising the rest of the flower to give it a little more dimension. I used the heart from the joy sentiment as flower centers - a good way to bring more of the black into the design! Just sharing a card I recently made. It's a bit dreary here today - I hope this brightens your day a bit.